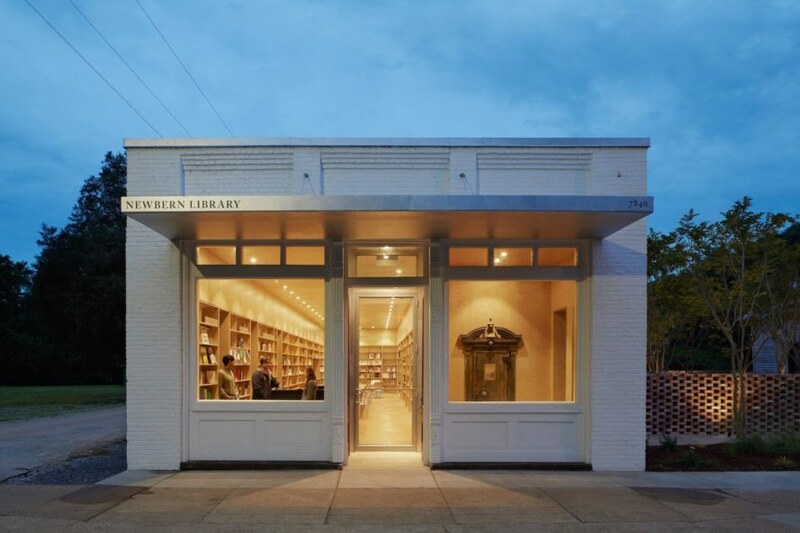 A historic bank in a tiny Alabama town has been reborn into a surprisingly elegant library with looks rivaling a chic retail store. 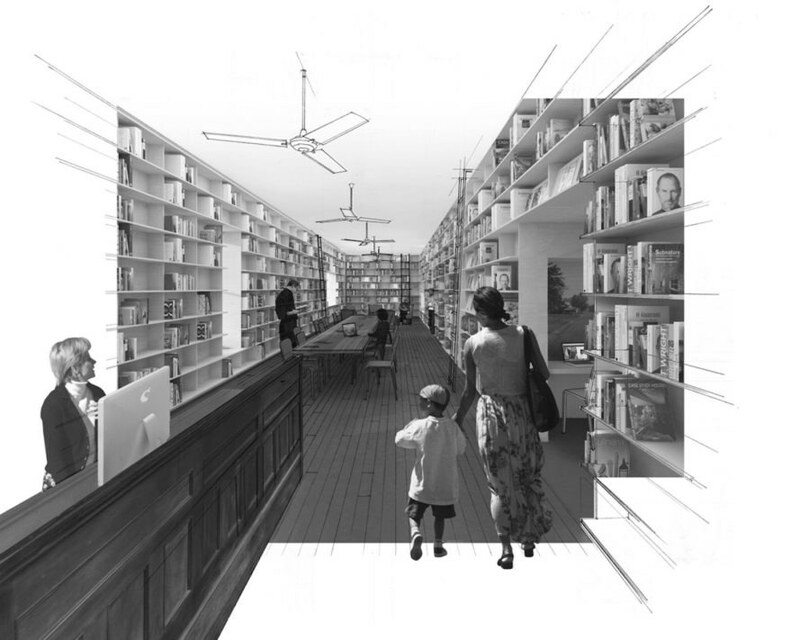 The project, called Newborn Library, was completed in 2013 as part of Rural Studio, an Auburn University student design-build program with a focus on community design. The adaptive reuse and expansion project preserves much of the historic architectural elements while using modern construction technologies, such as CNC techniques, to create a contemporary interior. To this end, the architecture students gutted the interior and expanded the footprint of the building while leaving the bank’s white brick exterior and glazed front intact to preserve its historical context. Timber lines the interior, from the CNC-milled birch plywood shelves to the patterned ceiling panels also made of birch. The old pine floor was preserved and elements of the past punctuate the space like the bank vault door and original bricks repurposed as paving and low walls. 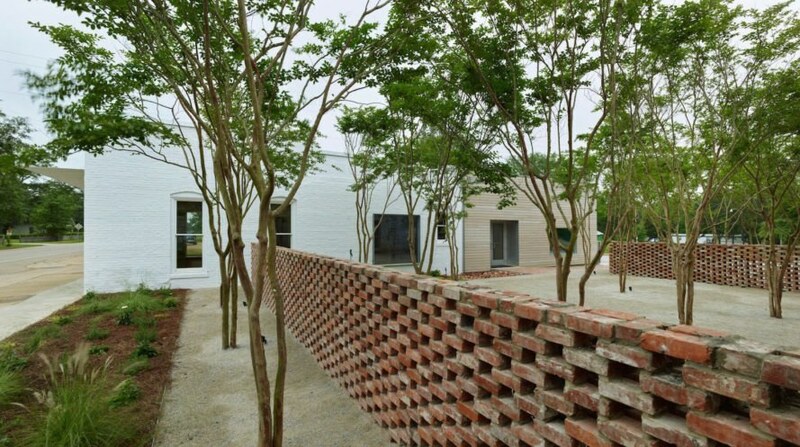 A 700-square-foot boxy cypress-clad extension was added to the back of the building, while a small outdoor space to the north provides an outdoor reading space. 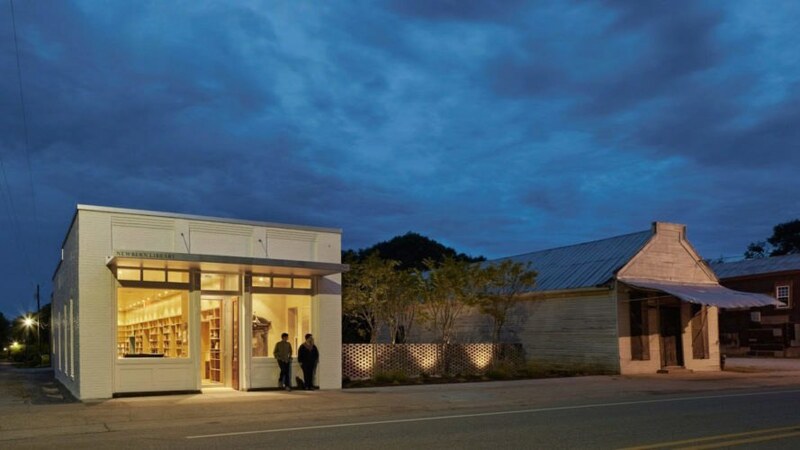 Located in the historic downtown of Newbern, a town with fewer than 200 people, the Old Bank Building was donated to the community by a local family who wanted the building turned into a library. Timber lines the interior, from the CNC-milled birch plywood shelves to the patterned ceiling panels also made of birch. 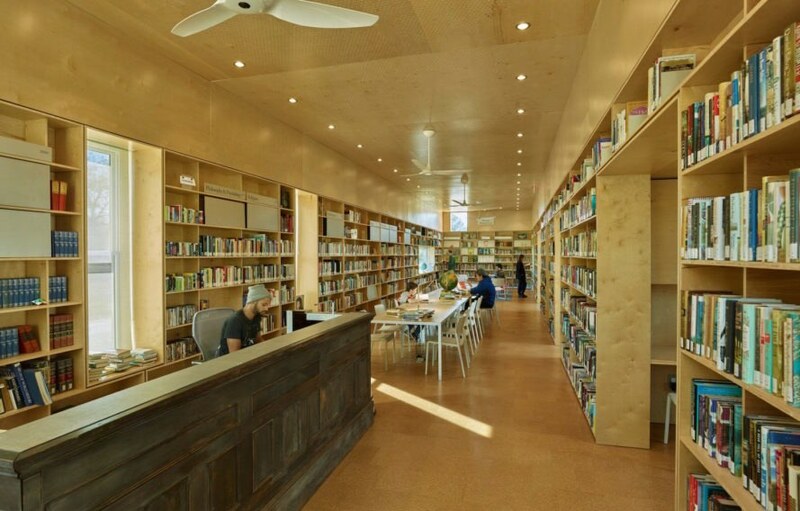 A 700-square-foot boxy cypress-clad extension was added to the back of the building, while a small outdoor space to the north provides an outdoor reading space.